Ah, yes, Jim Harbaugh. You knew his name would pop up, didn’t you? 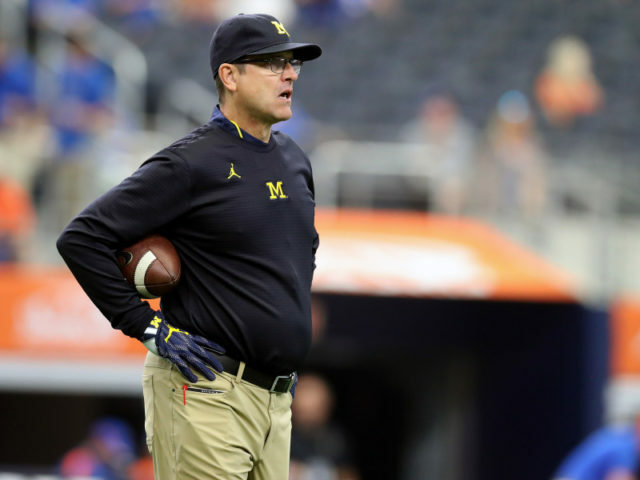 Despite having some success at his alma mater (28-11 overall, 18-8 in the Big Ten), Michigan backers demand better. In his three years with the Wolverines, Michigan is a combined 1-5 against rivals Michigan State and Ohio State. However, he was extremely successful with the San Francisco 49ers. In the four years as the San Francisco head man, the 49ers were 44-19-1 with three playoff appearances and a trip to the Super Bowl. He has won everywhere he has been, turning the Stanford Cardinal from a doormat into a perennial power, and the University of San Diego before that. Harbaugh has shown to be a successful quarterbacks coach, turning Andrew Luck into a top NFL Draft pick, and actually making Colin Kaepernick look good. I think having another quarterback guru around would only benefit Aaron Rodgers. Just look at Mike McCarthy and the amount of success the pair has had together. Shaw’s name has floated around the past few years. Even with multiple opportunities to move on to the professional ranks, Shaw is in no rush to leave the sunshine of Palo Alto. Another coach who is currently coaching his alma mater, the 45-year-old Shaw had the misfortune of replacing the man who is No. 1 on this list. Following Harbaugh’s run at Stanford, the reigns were handed down to Shaw and the program did not skip a beat. He has won double-digit games in five of his seven seasons, and won two Rose Bowls and played in three of them, as well as a Fiesta Bowl. Shaw has also churned out great running backs every year. The latest is Heisman favorite Bryce Love, who followed a top 10 pick in Christian McCaffrey. Shaw will continue to draw interest until he eventually leaves. I think he will eventually leave for the NFL, but I am not sure how long before that happens. This may be kind of an outside-the-box pick, as Smart just finished only his second season as a head coach. Yet another coach coaching his alma mater, the Bulldogs boss has gone 21-7 in his two years and led his squad to the College Football National Championship. And if Nick Saban had not put in Tua Tagovailoa at quarterback, Smart’s Bulldogs would have won. Smart is still a young guy, not turning 43 until December, and I think he really wants to bring a title back to his alma mater, and won’t leave until after doing that. Smart is on the verge of making Georgia a major force, even more so than it was before under Mark Richt. He has the program rolling, as the Dawgs have the No. 1 recruiting class in the country coming in. I don’t see him leaving quite yet for the NFL, but if he does, he will be a hot commodity. Smart also has a year in the professional ranks under his belt, as safeties coach with the Miami Dolphins, under Saban. Smart also learned under Saban for 11 years, with LSU, the Dolphins as I mentioned, and Alabama. I am not sure why he was not retained in Cincinnati. After Mike Zimmer left for Minnesota, Guenther’s defenses finished no lower than 16th, which happened last season when I am convinced many Cincinnati players just rolled over toward the end of the season. In his four years as the Bengals defensive coordinator, they finished in the top 10 twice, including 2nd in 2015. He has now moved onto Oakland, so it will be interesting to see how he does over there. The one thing I am not sure about is if the Packers would go with a defensive coach. Ray Rhodes, who was the coach for only one season (1999), is the only defensive coach the Packers have had lead the team since Phil Bengston was the head man from 1968-1970. Joe Philbin would be relied on more if the Packers were to go this route, and it would be interesting to see what would happen in Titletown. I mentioned that the Packers have only had a defensive-minded coach lead the Packers one year in nearly 50 seasons. Well, Pettine would get an interview if he wants one. For his own sake, McCarthy hopes Pettine can turn around a defense that finished 26th in the league in points allowed last season and 21st in 2016. If Green Bay moves into the top 10-15, I think Green Bay will be in good shape to make a run at a Super Bowl. Pettine was the lead man once before, with the Cleveland Browns. His tenure started out really well in 2014, as his Browns started out 7-4. However, the Browns lost their last five to finish 7-9, and then finished 3-13 in 2015 and he was out as the coach. However, he is one of the best defensive minds in the business. If he wants another head coaching opportunity, this would be a good one to try and get. Like I said when talking about Guenther, I don’t know if they’d hire a defensive coach. That has not been their philosophy. But, in an odd stat, the Packers have had a head coach named Mike every year since 1992 except for 1999 when they had Rhodes. Pettine would keep that odd streak going. YES!!! You just had to know this guy was making the list! What a name! And not only is his name terrific, his offenses have been as well. After taking sole control as the offensive coordinator of the Lions, Matthew Stafford and Co. have flourished. In his first year as the lone OC, Detroit finished 20th, but last year, their ranking climbed to 7th. With Cooter being the offensive coordinator for a defensive-minded coach, he was the play caller, which is what he would be for the Packers as well. He is still an inexperienced play caller, but he is getting better. Many thought he would actually be a finalist for his alma mater’s job at the University of Tennessee. Cooter, who just turned 34, could be a hot name in the coming years. Just look at the impact Sean McVay has had in Los Angeles with the Rams. He quickly turned around that team. Cooter could be the next McVay. Of course, all of this is moot if the Packers go and make a run this season. But, I think it is interesting to look at some of the potential candidates if they do go in a different direction in 2019. This entry was posted in Packers 2018-2019 Season and tagged David Shaw, Green Bay Packers, jim bob cooter, Jim Harbaugh, kirby smart, mike mccarthy, Mike Pettine. Bookmark the permalink. You cannot be serious with Har-baarff as the top contender…You forgot about that highly regarded mantra…Packer People…don’t really know if it’s a real thinking but I don’t believe he fits in GB. Interesting. Only Harbaugh has accomplished as much. Pettine hasn’t done SQUAT in Green Bay yet and he’s already on the short list. This is going to be a hard pill for some people to swallow, but Mike McCarthy is a very good NFL coach and the chances are that the guy who follows him won’t be as good. I would also point out that when McCarthy arrived, he had no head coaching experience. Neither did his staff. Now, he’s a grizzled veteran coach and he’s got guys with some HC experience on the sideline with him….as well as an experienced QB. I think the people who’d like to see McCarthy gone are gonna be disappointed. The Packers are going to win the division and be one of the strongest teams in the league. This is dumb…McCarthy has done a great job. Nobody knows the constraints he has had with former leadership structure. No doubt by the end of the season we will have a better view of what’s going on w leadership. And no doubt there will be some new hot young coordinators that will rise up as well. yep, McCarthy has been very good.. and, i think, an under-rated play-caller. McCarthy is wise enough to generally get out of the way of possibly the greatest QB in history. 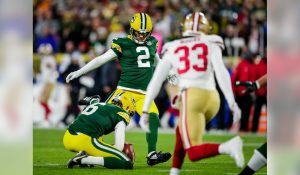 McCarthy’s weakness has been his failure, outside of circa 2010, to nurture a consistently good defense in Green Bay.. i don’t buy that the lack of quality defenses in GB was a failure of Ted Thompson’s draft selections. regarding the names of potential McCarthy replacements cited above, i think others could be named. maybe Josh McDaniels?? really ridiculous and offensive discussion at this point in time.